Sun Wukong is the fabled Monkey King, made most famous for his role in “Journey to the West,” where he makes friends and foes among all the gods of China in his many adventures. One time Sun Wukong visited Ao Kuang, Dragon King of the Eastern Sea. The Monkey King sought to find a weapon that he could wield from among the great dragon’s many treasures. To Ao Kuang’s frustration, the Monkey King broke any weapon the dragon gave him to try. Finally Sun Wukong reached Ruyi Jingu Bang, the pillar once used by Yu the Great to measure the seas, and which now held them in their place and which controlled the oceans’ tides. Ao Kuang thought it would be too heavy for him to lift, but the rod obediently changed its size and leapt into his hands, plunging the oceans into chaos. Fearful of Sun Wukong’s power, the Dragon King gave him many more magical items from his treasury to placate him. The Monkey King was born out of a magic stone, which had been sitting on top of a mountain for a long time, drawing to itself the powers of earth and heaven. When he came out, he had the physical appearance of a monkey, but the abilities of a god. He was able to travel at lightning speed and possessed an immense strength. With the powers, however, also came a sense of pride and cheekiness. After descending the mountain, Sun Wukong would soon become the king of the monkeys and animals he had befriended, and as he traveled, he would be quick to smugly take up any challenge. Bold and cheeky, he faced various lessons and often became reprimanded as a result for his audaciousness. In the end, however, the Monkey King learned how to attain enlightenment and was rewarded for his service and strength. 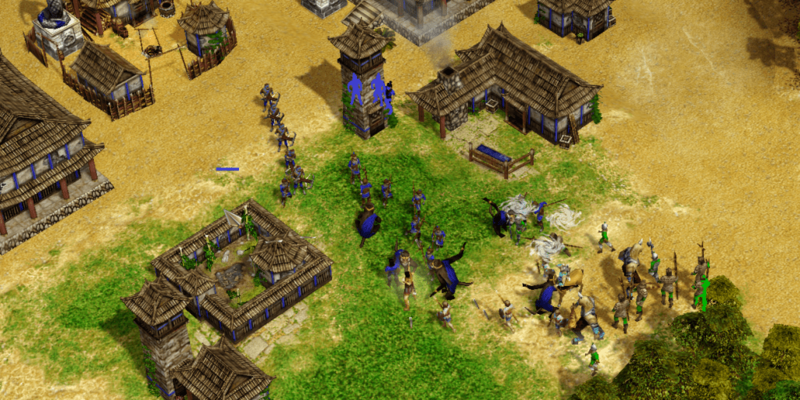 A squad of Monkey Kings fending off Greek and Chinese foes. Great Journey: Sun Wukong teaches you his secrets of swift movement. This Classical Age God Power temporarily speeds up all your units, making them more maneuverable on the battlefield. 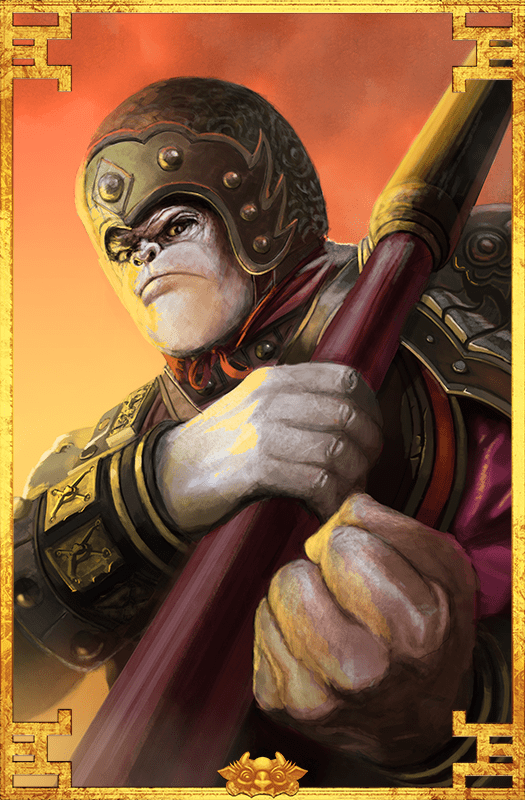 Golden-banded staff: Sun Wukong allows your Monkey Kings to carry his Golden staff, which increases their damage. Pillar of the Ocean: Sun Wukong makes your Fishing Ships, Junks and Docks stronger. Paper Talisman: Sun Wukong makes your Halberdiers stronger.